Hi! 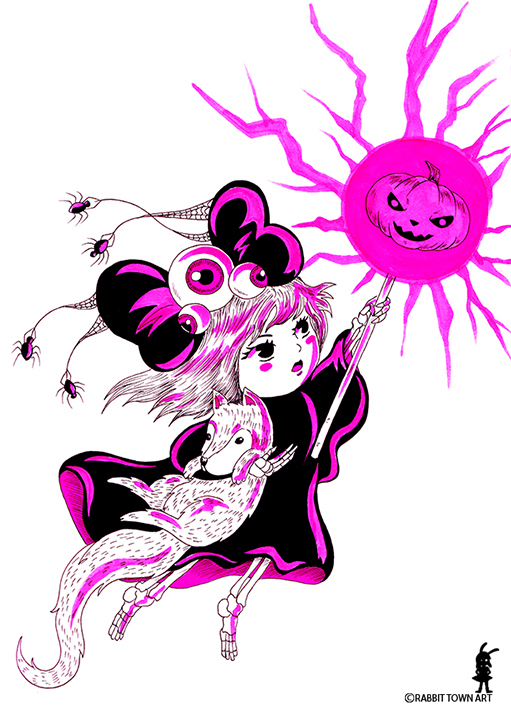 Finishing off the witch entries from the previous Kookyrabbit game. I enjoyed this one. Simple but effective. Busy, busy, busy. Finished off a part of a job today and already starting on the other. I may have another one coming up too, it will keep my weekend busy. Madness, I tell you. I need to keep stretching regularly as well. Unfortunately my shoulders are taking quite a hit lately and I am seeing a myotheraphist to keep any serious damage at bay. Best thing I can do for now..along with stretching.